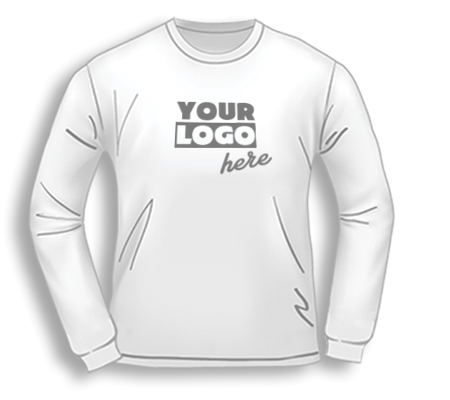 Choose from our extensive line-up of quality apparel! Earth Sun Moon Printworks has a large variety of customizable apparel including Shirts, Caps, Outerwear, and Spirit Wear from an array of manufacturers. If it's a specific color you're looking for, our most popular manufacturer, Gildan, offers tees in 124 different colors for you to choose from! Not sure what sizes you need? No problem -- just check out our basic size chart to get an idea. If you don't see what you're looking for, please contact us and we'll be glad to order the items for you or recommend a comparable product. Plus+ Dress Shirts, Tank Tops, Performance Wear & Accessories! Don't see what your want, contact us! Choose from one of our most popular brands. Premium brands are available, contact us for details. 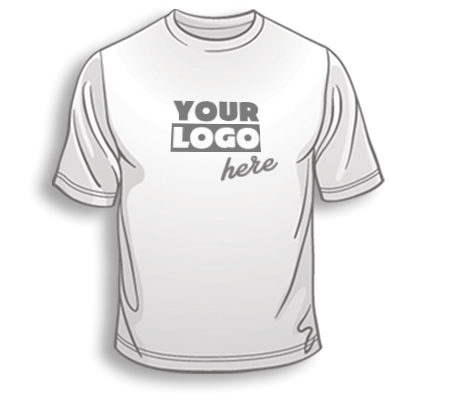 Earth Sun Moon Printworks offers custom screen printing, direct to garment digital printing, embroidery & engraving. Our 31,000 square foot facility is outfitted with state of the art equipment to make even the most difficult jobs run smoothly. 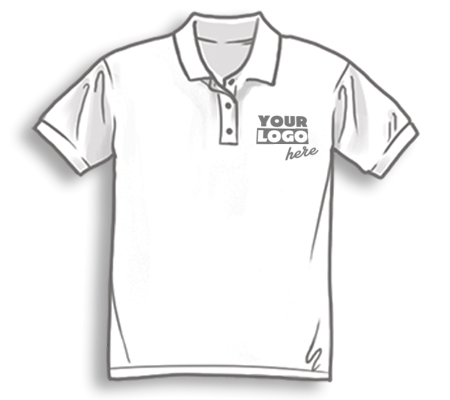 From spot color to four-color process, digital printing and embroidery, our experienced staff gets the job done right the first time, on time, every time! To be good to our customers. You make our company possible— after all, you pay our paychecks—and we don't intend to forget it. If for any reason you are not satisfied with our company, we won't rest until we make things right. To be good to each other. Our company culture is based on the ideal of mutual respect for our fellow employees, our business associates and our community. We feel that our efforts to be fair, honest and kind to the people we work with every day are of the greatest value. To be good at what we do. All of our design work, printing and embroidery are done in our own facility in Grove City, Pennsylvania. We take pride in our work and go to great lengths to make sure that every garment we produce is top-quality. To be good to the earth. It's the only one we've got! We take every opportunity to recycle and implement practices to reduce our consumption of natural resources. We also buy the majority of our blank apparel from Gildan, a company that has made a profound commitment to environmentally sustainable business practice and fair trade. Quality apparel featuring nature-inspired designs known for a quirky sense of humor, top-notch artwork & customer service! Personalized shirts, hats, aprons, glasses, growlers, & bottle openers! 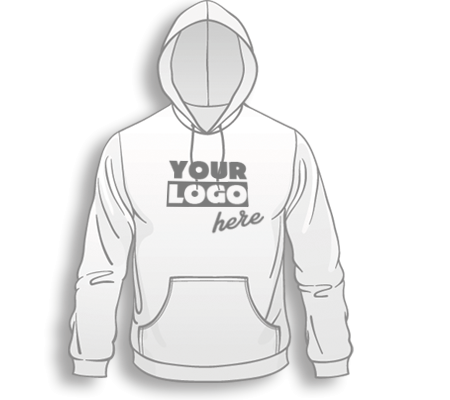 Simply add your name to one of our outstanding designs. Standard production time is 1-2 weeks. Shipping is an additional 2-6 business days depending on the state to which an order ships. Most orders are shipped FedEx Ground, but expedited shipping is available for an additional cost at the customer's request. Shipping charges on custom orders depend on current FedEx rates which are based on the weight of the package and the distance it ships. Our offices are located at 111 N Center St in Grove City, PA 16127 USA, and you can reach us at (724) 458-1687 extension 439 with questions or concerns about your personal information. Our web sites do not collect personally-identifiable information from individuals unless they provide it to us voluntarily and knowingly. So, if you just want to browse and learn about our unique shirts and hats, we invite you to do so. As a casual, unregistered visitor to our site, we'll recognize your home server (e.g., that your web access is through AOL.com), but not your e-mail address or any other personal information. 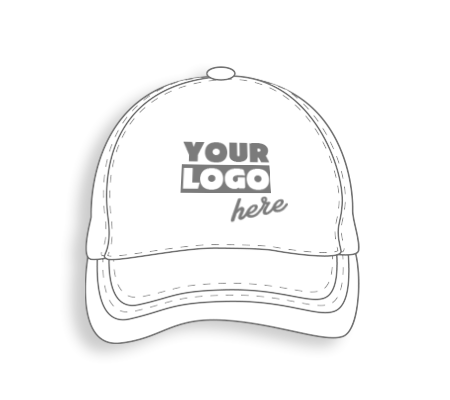 Of course, since we must ship our shirts and hats to you, if you want to order our products it will be necessary for you to provide personally-identifiable information. This will include your name, address, phone number and credit card information. Any information you provide is entered into a secure system and is maintained there. We do not knowingly collect personal data from children and will, if requested to do so by a parent or guardian, suppress a child's personal data in our database. We have implemented security policies, rules and technical measures to protect the personal data that we have under our control from unauthorized access, improper use or disclosure, unauthorized modification, unlawful destruction, and accidental loss. All our employees and data processors who have access to, and are associated with the confidentiality of our visitors' personal data, have undergone background checks, and are obliged to respect the confidentiality of our visitors' personal data. When you buy our products, we add your information to our Customer List. We may use this list to follow up with you about an order, and may from time to time send you mail to let you know about new products or services we think you would like. This information may also be shared with other marketers to bring you offers of interest. If you prefer not to receive mailings from these companies or from us, please advise us by using the mail address, e-mail, or phone number provided above. Please include your name and address, and we will place you on our Do Not Mail list. If you reorder or track your order online, you will be required to supply us with your e-mail address. This is not optional, because we use this to provide you with an order confirmation and with your tracking information. You may, however, also choose to receive periodic e-mails from us; we may inform you of new products or web-only promotions. If you do provide us with your e-mail address you can rest assured that we do not provide your e-mail address to anyone else. Our customers have voluntarily provided all the information that we have on file, while placing their orders. This includes name, address, phone number and e-mail address if provided. If you have concerns about the content of the personal information we have on file for you, please call us at (724) 458-1687 extension 439. We will confirm the information that you provided to ensure our records are accurate. We reserve the right to refuse to confirm personal data, but will give a reason for our refusal. *Please note: If paying by credit card, please call to securely transmit card information. For security purposes, we ask that you please DO NOT email credit card information for any reason. 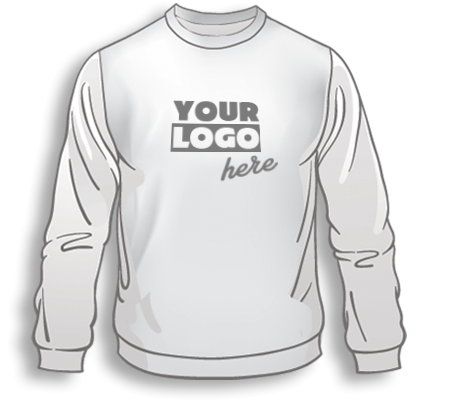 Minimum Order: All custom orders require a 12 piece minimum per design (Okay to assort styles and sizes). Terms: All orders Check, Money order, Visa, MasterCard, American Express or Discover unless credit approved. Customers wishing to establish credit terms must complete our credit application in its entirety. Click here to open a printable credit application. If you have problems printing this form, click here to get the MS Word version. The credit application must be faxed to 724-605-2983 or mailed to Earth Sun Moon Printworks, Attn: Accounts Receivable, 111 N Center St, Grove City, PA 16127. You may also request a credit application by calling us at 888-458-1687 x439, faxing us at 724-605-2984 (please be sure to include your fax number), or e-mailing us at esmcustom@earthsunmoon.com. Please allow up to two weeks for credit application processing. An interest charge of 1-1/2% monthly will be incurred by accounts over 30 days. Chargebacks are not accepted. A fee of $30 will be charged for each check or money order that is returned for insufficient funds or any other reason. For a copy of our federal Form W-9, Request for Taxpayer Identification Number (TIN) and Certification, click here. If you wish to cancel or make any revisions to an order after you have approved it, please contact us via phone, fax or email within 24 hours of placing your order. We will need your sales order number or your name and address to access your order. Please note that your order may begin processing immediately after you place it, and it may not be possible to change items on an existing order. Here at Earth Sun Moon Printworks, we strive for 100% satisfaction in terms of providing superior products and high quality services. We do, however, have our own limitations and can only offer a refund or replacement for flawed or defective orders reported within 10 business days from the day you receive it. We are not able to accept returns or exchanges where sizing is concerned as we cannot re-sell or re-use the item. Returned merchandise is considered a loss in terms of production and cost in customizing the item(s). However, because we are always aiming to please our customers, if there are any mistakes on our behalf, we will issue a refund or replacement in an appropriate amount of time. If the fault lies with Earth Sun Moon Printworks, you will either receive a replacement for the defective merchandise or a refund for the total amount of the unsatisfactory items less the shipping cost. Occasionally, customers will be required to return the item(s) to us at our discretion before we can issue a refund or replacement. In these instances, we will assume responsibility for the return shipping costs. If we find that a refund or replacement is unwarranted, the customer will be responsible for the shipping costs to receive the items back. Copyright © Earth Sun Moon Printworks. All rights reserved.